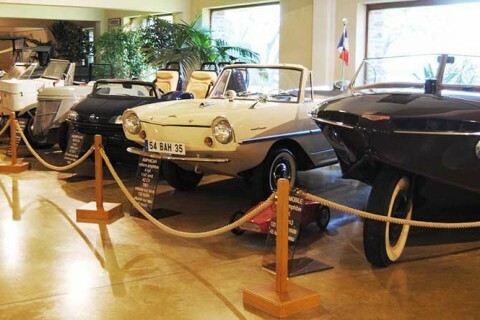 The museum has an impressive and unusual collection of amphibious cars. 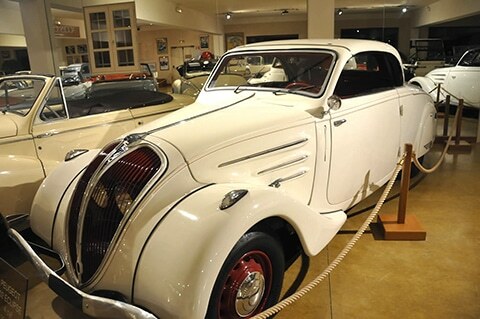 We can discover amphibious models from the years 1940/1950 such as the Amphicar, the Voisin model or the amphibious-electric Salmson from the Second World War. One of them from 1942, travelled at 120 km/h on roads and at 45 km / h on water, an other with an electric motor was transformed by a lover and mechanic who wanted to cross the Seine in order to reach his fiancée in the event of a bombing of bridges by the Germans. 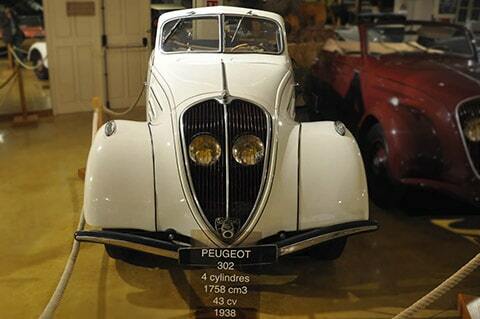 Peugeot 601 Roadster: Queen of the collection, one of three recorded to date. 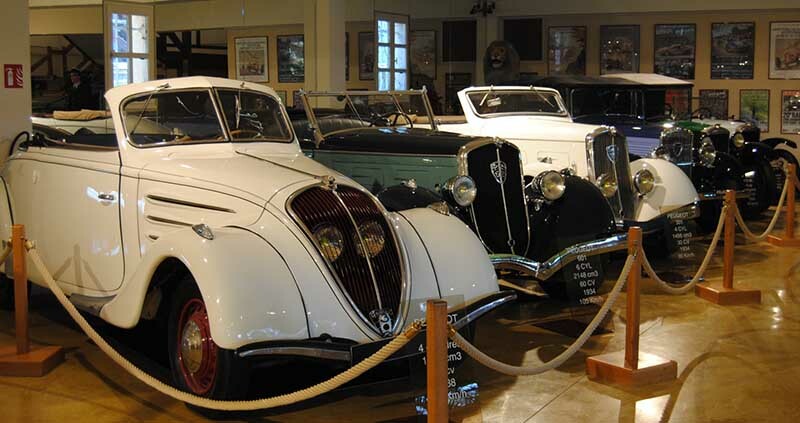 Start of production in the month of February 1934, but presented in May, the 601, in addition to all her sisters, began the great aerodynamic Peugeot revolution. Its grid is bevelled, the projectors are placed quite low and the rear lines, especially on roadsters or convertible coaches, are more tapered. According to the process of “derivation” faithfully kept at Sochaux, the general lines reminiscent of the 301. Using a 6-cylinder, has nevertheless resulted in a rather cosmetic lengthening of the bonnet to 3 + 3 horizontal flaps. A series of 601 long (+ 22 cm wheelbase) will follow the family of 601 original C. The production of the 601 will end in July 1935, and out of a total of 3999 copies, we will count 160 convertibles. 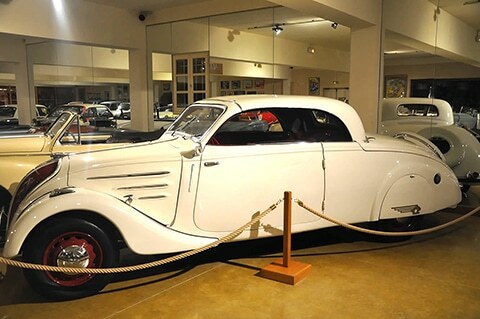 Road car that was built from 1937 to 1938 with a capacity of 1.7 L and a power of 43ch., the convertible 302 was available with either 2 rear seats or in Spider version. The name Spider, comes from a sort of horse-drawn vehicle from 19th century, with a lightweight construction, and simplified with 4 large equal wheels. In addition, a groom seat, based on forged feet, was disposed in the back. This latter feature characterizes on its own the name Spider today. Feature of the model presented, it takes the system that was imagined by Georges Paulin who, by retracting (electrically or mechanically) the Pavilion, provides to one’s own desire, the possibility of an open or closed car.